That is what we want to be about. We believe that God has a redemptive mission to all people on the Earth and it is our deepest longing to join with Him on that mission. 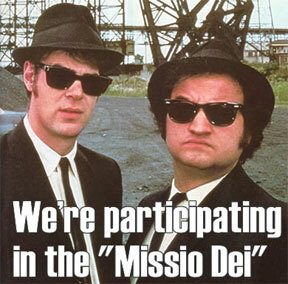 What is God’s mission? We believe it is well stated by Jesus’ words in Matthew written above. We chose to define our movement by the title Missio Dei, above all else, because it defines who we are and what we are created to be. That’s who we are in a nutshell. To delve a little deeper, come check out the vision of our community.